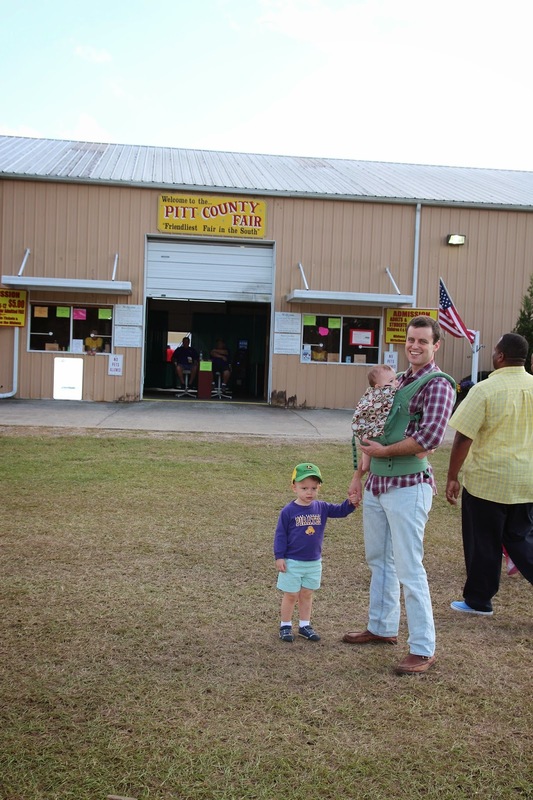 Tom took the afternoon off on Thursday last week and we went to the Pitt County Fair. The people watching did not disappoint. 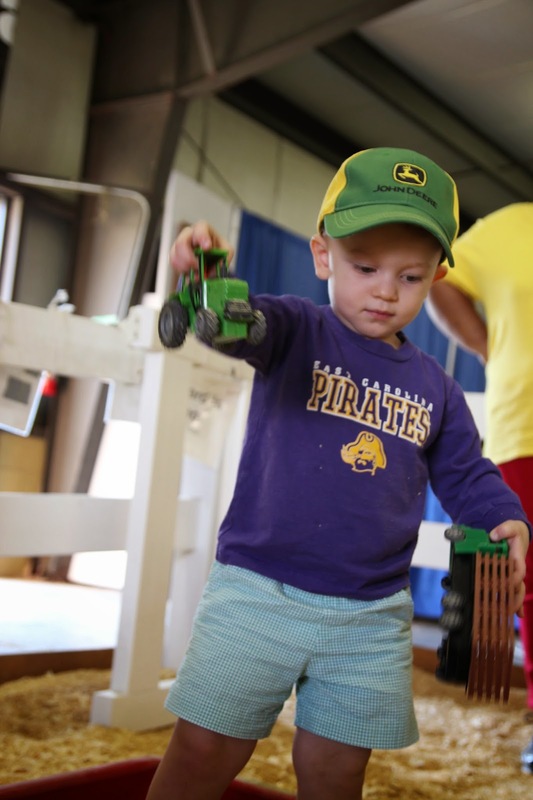 Simon's favorite thing, by a long run, was the tractor exhibit. I'm sure modern-day farmers are all about baby-wearing. Had never actually seen how peanuts grow. In South Africa they're called ground-nuts, because they well.... grow in the ground. This "guy" was hilarious and awesome. A remote-controlled animal-man. Ragan has been hanging out with Simon too much and also enjoyed the tractors. They're starting to look more and more alike to me.